Are Sinclair Broadcast Group Employment Contracts Fair? According to both current and former Sinclair Broadcast Group employees, it is the financial penalties which act as the strongest deterrent to those who would otherwise be tempted to put their personal morals and ethics first. According to both current and former Sinclair Broadcast Group employees, it is the financial penalties which act as the strongest deterrent to those who would otherwise be tempted to put their personal morals and ethics first. Although non-compete clauses are common in the media industry amongst those who appear live on TV as, for example, replacing a quitting news anchor could be incredibly costly, it is unusual for those who will never appear onscreen to be subjected to such harsh terms. The question is, are the clauses fair? 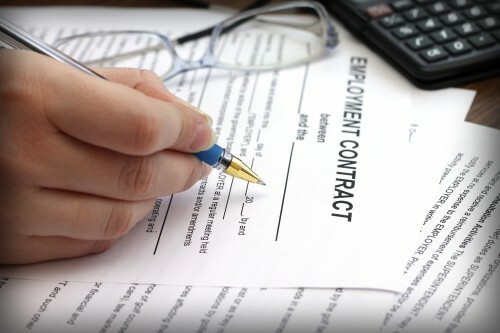 Do You Need a Pasadena Employment Law Attorney? When you sign a contract, and begin work with a new employer, you become entitled to certain basic rights, as well as the obvious obligations to go to work and complete your role to a high standard. If you feel that your rights are not being respected at work, perhaps in the form of a contract which makes it near-impossible for you to leave a job which is making you mentally or physically unwell, you may benefit from the legal expertise of a Pasadena employment law attorney. When you lose your peace of mind due to the behaviors mentioned above, or any others which interfere with your ability to work safely and securely, it is difficult to be productive and perform as you should. You do not need to simply accept this treatment – instead, contact an expert Pasadena employment law attorney to find out how they could act on your behalf. Rager Law Firm’s employment law attorneys are amongst the best in California. When you are facing a problem at work, our team of legal professionals could be the answer. Let us handle the legal side, while you concentrate on recovering from your experience and moving on with your life. For a free initial consultation, call us today on 310-527-6994.